What is one of the most important things that you need to make your relocation easy and smooth? Of course it is the PACKING MATERIALS. You may have a limited amount of budget to shift your household goods from one location to another location of India. In such a situation, how can you make sure that your precious items get transported to other region damage free? You only have a budget to hire the best shifting companies but from where you will arrange the packing supplies. What if I say that you can arrange the materials, especially the cardboard boxes FREE OF COST. You do not believe me right? Yes, it is a reality that there are many ways or sources through which you can get hold of the supplies without shelling out even a single penny from your wallet. Grocery Stores: If you have noticed after visiting the grocery stores that some of the store owners just crush the boxes, which are no longer required at all. The packers and movers service providers strongly advice that you can use this situation to your advantage. You can ask the storeowners to provide you the boxes either free of cost or charging nominal amount of money that does not pinch your pocket. Facebook Community Groups: You can also use the Facebook community groups to arrange the boxes. You are just required to post a message in your group that you require the free moving boxes and who knows, you can get lucky enough to get the top quality boxes in no time. Your Office: Yes, you read it right! You can also arrange the boxes from your office only without making an effort. There are chances that some of the departments, especially the admin, order some of the products for the official use. Once the boxes are unpacked, then they remain unused for a longer period of time. You can contact the admin department of your office and arrange the cardboard boxes. Local Recycling Center: Before you hiring leading service providers, make it a point that you must visit the local recycling center as most of the people the unused cardboard boxes there. Hence, these are some of the sources from where you can get the cardboard boxes free. 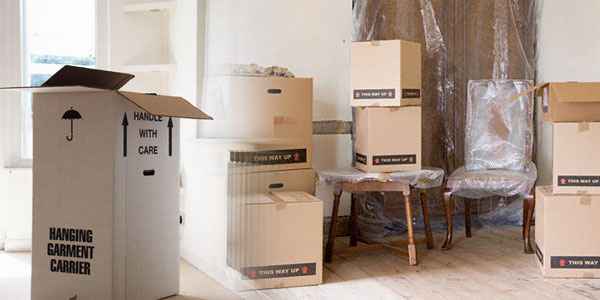 If you have any extra source in your mind, then you can definitely go for it to safeguard your items, hire the reliable packers and movers service providers and have a hassle free relocation experience.